Back in March I photographed the legendary Tom Baker at the Big Finish studios in Kent. The occasion was the recording of a special extended interview with Tom, to mark his 80th birthday. 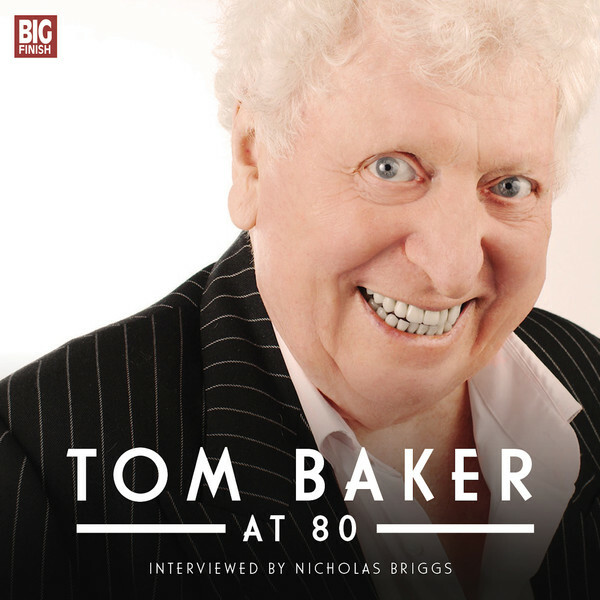 The interview was conducted by Nicholas Briggs, and the recording is being released on CD and download by Big Finish. I got to listen in to the end of the recording session and it was full of Tom’s own unique form of inventive story-telling, as well as moments of reflection. I got to photograph Tom on his own using a portable studio set up, as well as with Nick and some other special guests. All in about 7 minutes! The cover has been released now and it looks pretty good I think. The CD is available for pre-order from the Big Finish website now. Pre-orders will be signed by Tom, so buy now! That’s a great shot. It captures the essence of Tom. Great work.